The majority of people who work outdoors are employed within the construction and agricultural industries. These workers work through all seasons and all kinds of weather, often working long hours. As such, there are some risks involved, so it’s important that as an employer you do your upmost to ensure worker safety outdoors. It is estimated that around several million people work outside every year in various industries. The Health and Safety Act 1974 outlines the requirements for the provision of health, safety and welfare at work. Employers can also gain free advice and guidance from the HSE, who will advise them on how best to ensure worker safety outdoors. The first thing you should do is carry out a risk assessment to see which hazards exist, who they affect and how to put the correct safety measure in place. Once you’ve identified any risk, your workers will need to receive the correct training in order to ensure their own safety when working outdoors, as well as the safety of others. Part of the training should include warning about the dangers of sun exposure, using sun protection and regularly checking for skin damage. It is important that outdoor workers wear the correct protective clothing to suit the job they are doing. Hats should be worn where relevant to protect the head. When the sun is out and the weather is warm, it’s vital that employees are encouraged to take regular breaks in the shade. This will help them to feel more comfortable and will maximise productivity. Drinking water regularly can help keep workers alert, hydrated and prevent heat stress in hot weather. Employers should provide cool drinking water in the workplace, combating heat stress and overheating. To prevent food contamination and illness in warm conditions, workers should be provided with a fridge to keep perishable foods in. Workplace temperature should be regulated indoors to ensure workers are comfortable. it is strongly advised that outside workers are given regular breaks in the shade and encouraged to drink plenty of water to stay hydrated. Doing all this will reduce incidents of heat stress. Workers should be provided with protective equipment eg masks or glasses so they are protected at all times and any allergies they may have can not be made worse by the environment they are in. 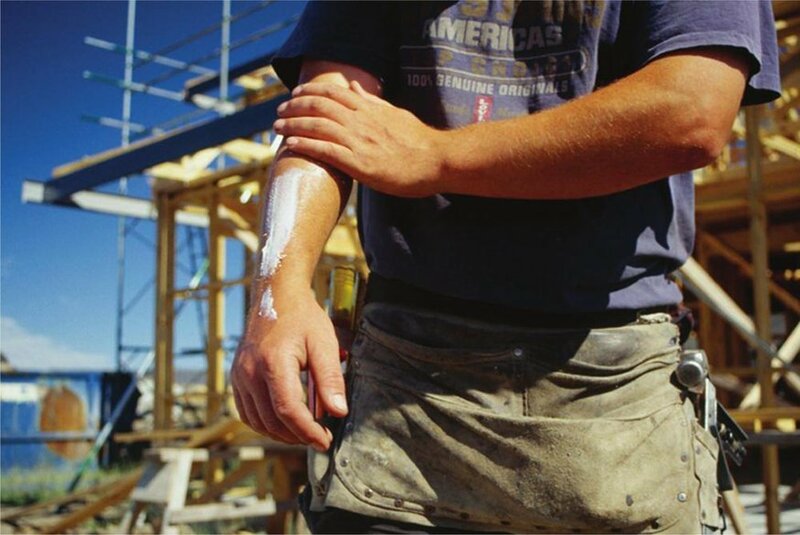 In warm weather conditions, employers should schedule work so that workers don’t spend too much time in the sun and work at cooler times in the day. At Total Site Safety we provide a range of personal protective equipment to help employers enable worker safety outdoors. If you need any help or advice, then just give us a call on 0330 0885 675 and we’ll be happy to assist. This entry was posted in Useful Info and tagged eye protection, personal protection, Personal Protective Equipment (PPE), respiratory protection.